X-series is the highest performance kiteboard, designed to unleash the freestyle riding the most powerful, most attractive and brighter ways. Board geometry and construction core serves great for freestyle riders who want to make various tricks easily. The board outline provides maneuverability and speed, while the rocker ensures a good planing and a perfect balance between the pop and upwind ability. Rocker, bottom shape and medium flex provides a comfortable riding also in chop and waves. Manufacturing by snowboard technology together with progressive durable materials ensures board protection even if happens to ride out on rocky shore or other unfriendly terrain. Massive pop and compatibility with wake bindings moves in the direction of wakestyle. Light wind – good wind! Choose the right board! 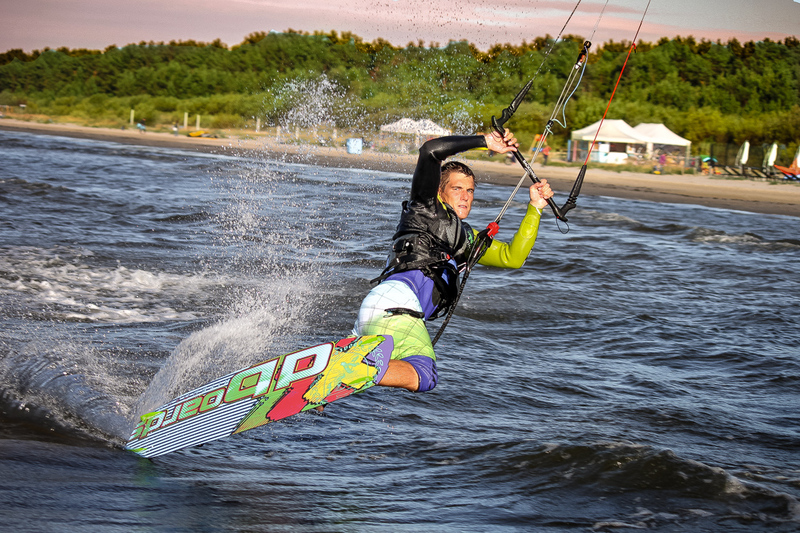 If you are looking for a kiteboard that will keep you on the water even in light breeze blowing, choose the Glider that will get you running fast and smooth and make various jumps and freestyle tricks in the lightest wind conditions possible! The Glider takes the best from the boards building experience and combines it with the improved core and inside stringers as a result there has been created a gear, which surprise even the most demanding light wind riders. A specific shape of the board will allow you to experience the high maneuverability and control at various speeds. Untypically light weight of such size board together with bottom shape and rocker ensure quick picking up of speed and ability to make jumps and various freestyle tricks while the other sits on the beach waiting for the wind. Balanced flex and outline provides excellent edging and upwind performance. Manufacturing from the most advanced materials and progressive technology gives the board maximum strength and durability. 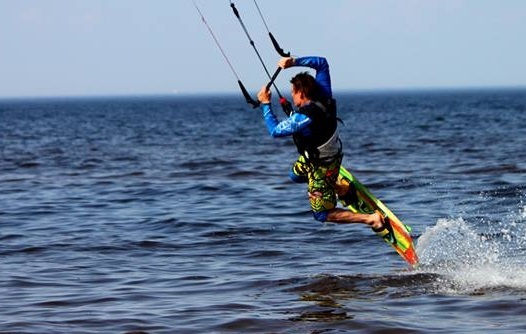 Every day is a good for the practice of kiteboarding! And the Glider will prove it to you even on the lightest wind days! Up to grab with man`s best friend! Like many kiteboarders, I went to Brazil last winter to train in the perfect lagoons and to learn some new tricks. I met great people there and two especially, Calabresa and Ameixa. You dont know them? They’re local guys at Taiba lagoon, they were my best supporters over there, always looking out for me… or should I say chasing me! These two cuties are Kate’s dogs but for some reasons they were running after me all day long at the lagoon, watching me crashing and improving everyday. They would even bring my board back to the shore when I lost it and took care of me during my downwinders. At the begining I was not really comfortable with them, as I didn`t know the dogs. Ameixa is quite big but after a while I get used to it and enjoyed kiting and playing with them in the lagoon. It’s quite a dangerous game by the way, as sometimes I landed my tricks so close to them but its part of the fun for them and I think they like to play dangerous games. I remember one session in Brazil it was only me, Kate and the two dogs in the lagoon, it was maybe one of my best sessions over there, I could really focus on my trick and be very concentrated. Kate and the dogs where there to encourage and help me out to add some style on my tricks. I could land some of my best front mobe 5 and others freestyle tricks. 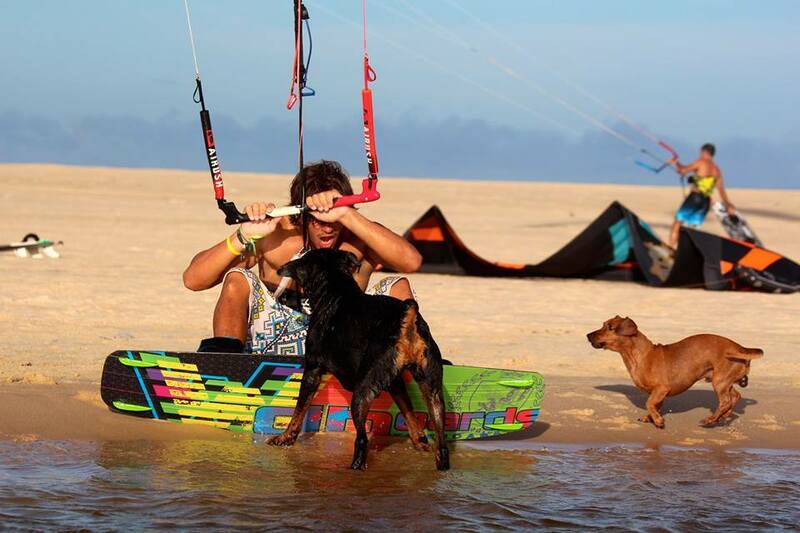 I think that kiting with is good fun with friends (or dogs) and focusing on your tricks is the way how to learn some hard freestyle moves. Spring is on the way and it’s time to think about new gear for water season! ABoards is ready to shine in it with bright collection 2013! High performance and cheerful spirit of ABoards Kiteboarding boards are only few of qualities we are pleased to provide for you. Various cooperation ways and great service for schools, dealers and retailers worldwide. 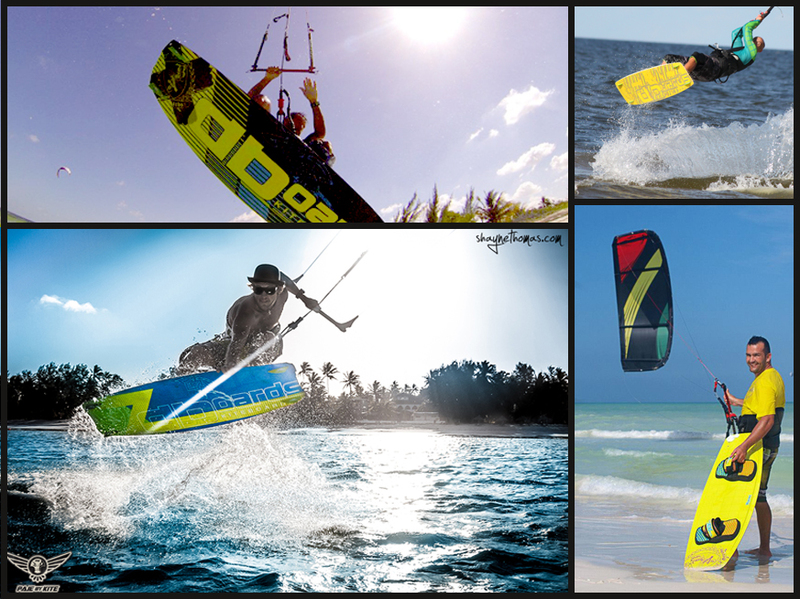 Choose ABoards kiteboards to brighten up your days on water and cheer up your peers on beach!